Push The Prize Of The Edge And Win! 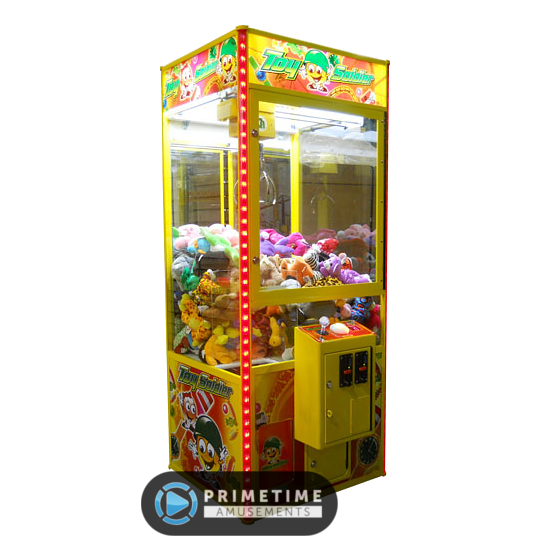 Installed Dimensions: H: 52″ W: 59″ D: 59″ Weight: 672 lbs. 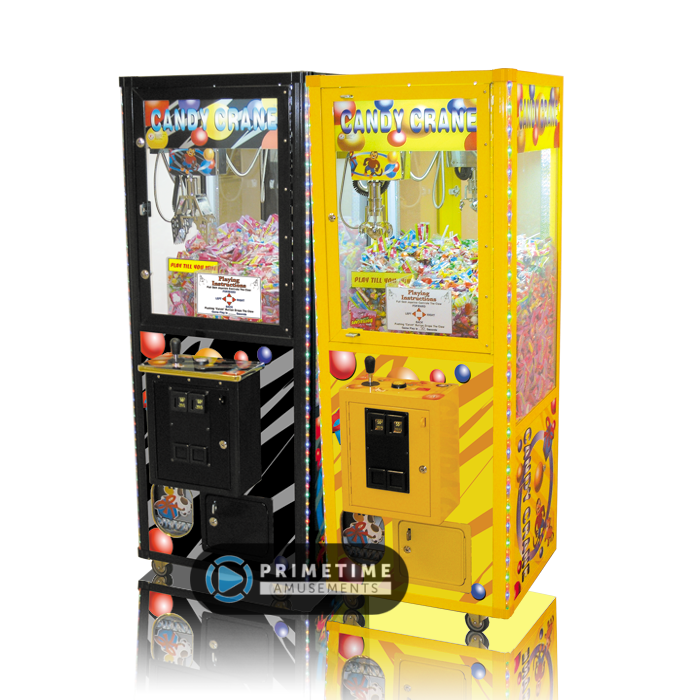 Treasure Dome supports 1-4 players at the same time, a player station found on each side of the machine. 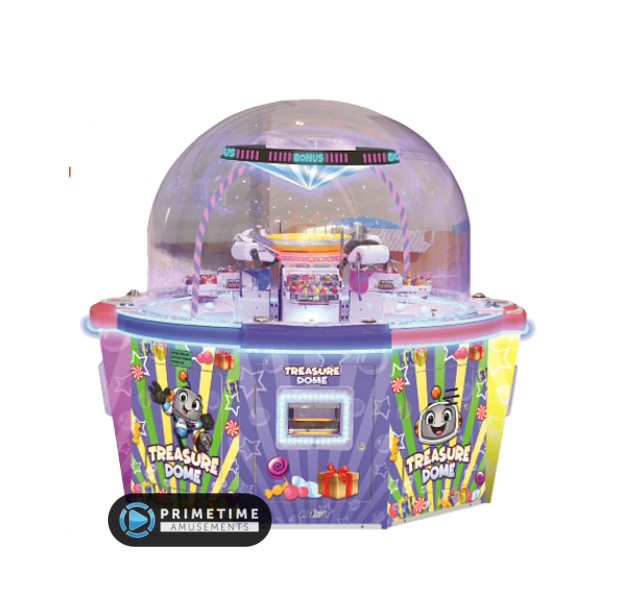 Inside, a rotating platform with prizes atop it keep the fun going. 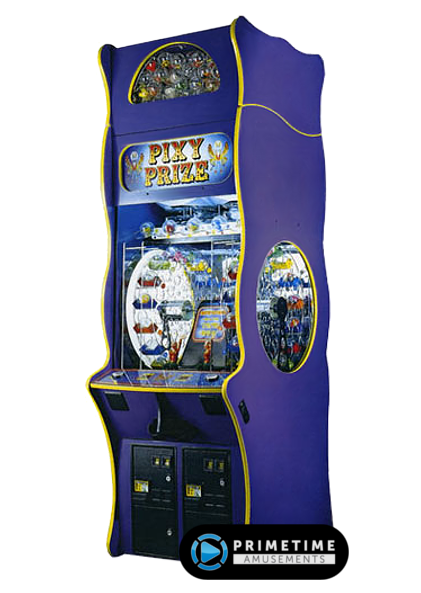 At the player’s disposal is a single button that must be pushed at the correct time to attempt to win the prize. This is done with the moving scoop, which tries to push the prizes over the edge and into the prize reception box below. 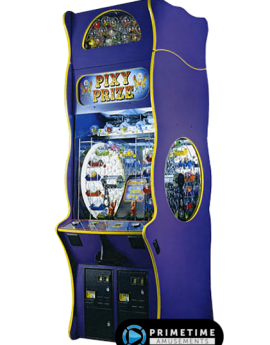 The game also features an automatic refill mechanism, pushing new small prizes onto the playfield so that operators do not need to “babysit” the machine. There’s also a special bonus feature to drive additional play. 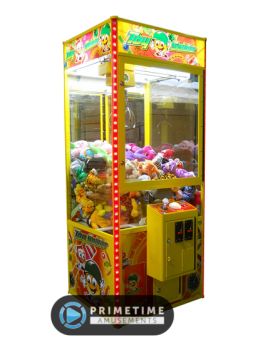 – Supports 1-4 players; appealing to both kids and adults! 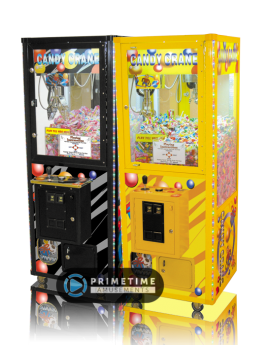 Installed Dimensions: H: 76″, W: 30″, D: 36″ Weight: 250 lbs.